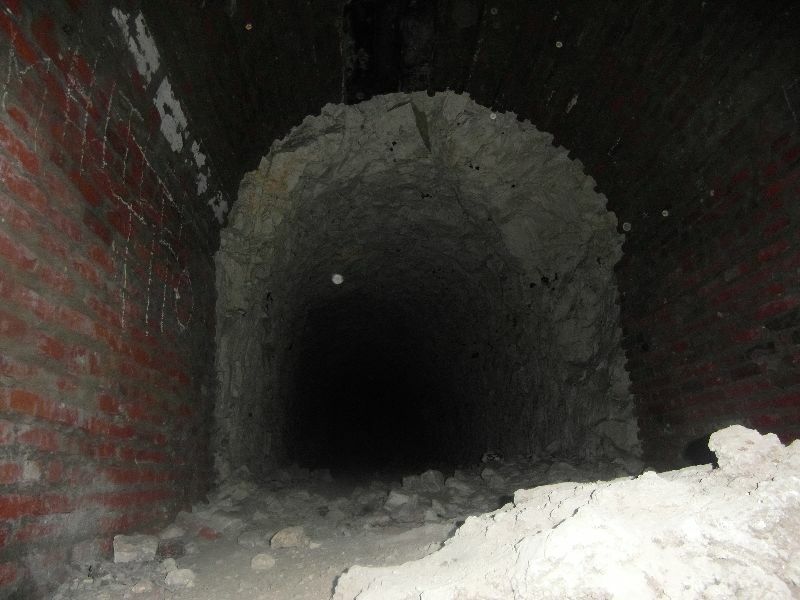 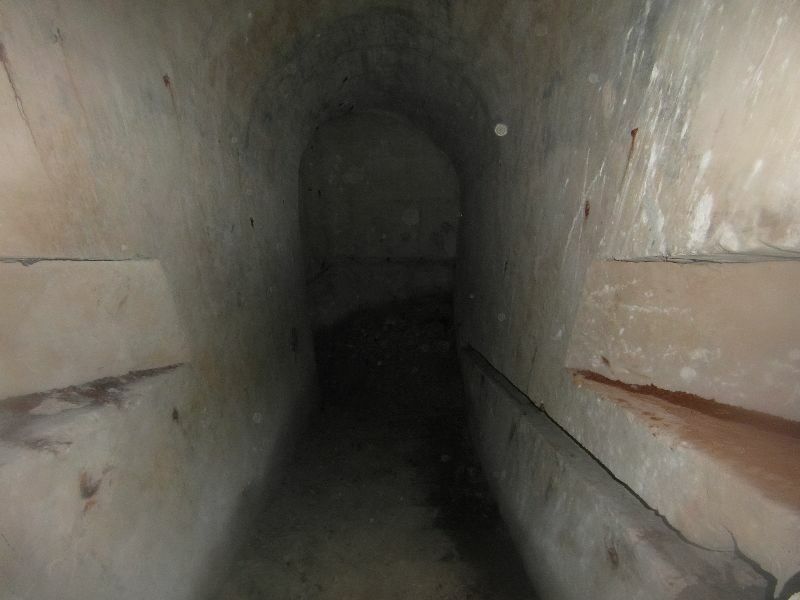 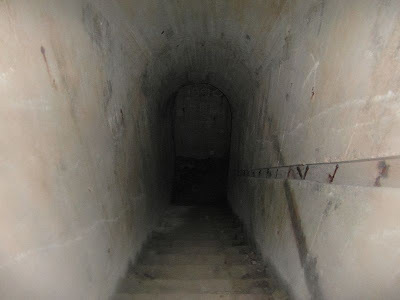 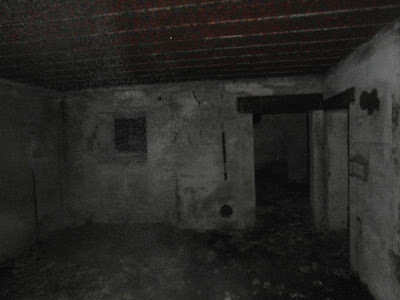 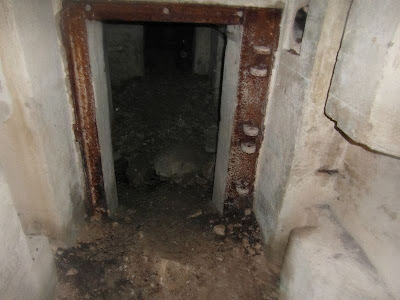 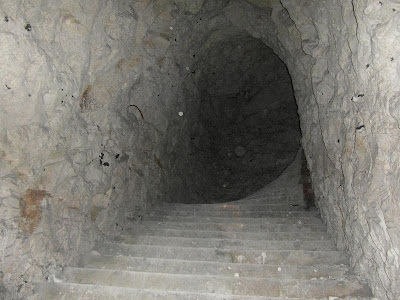 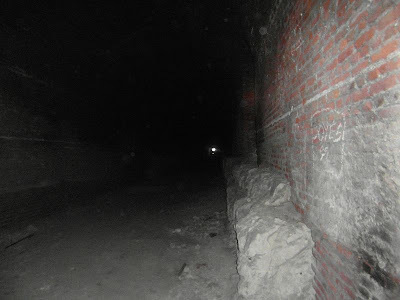 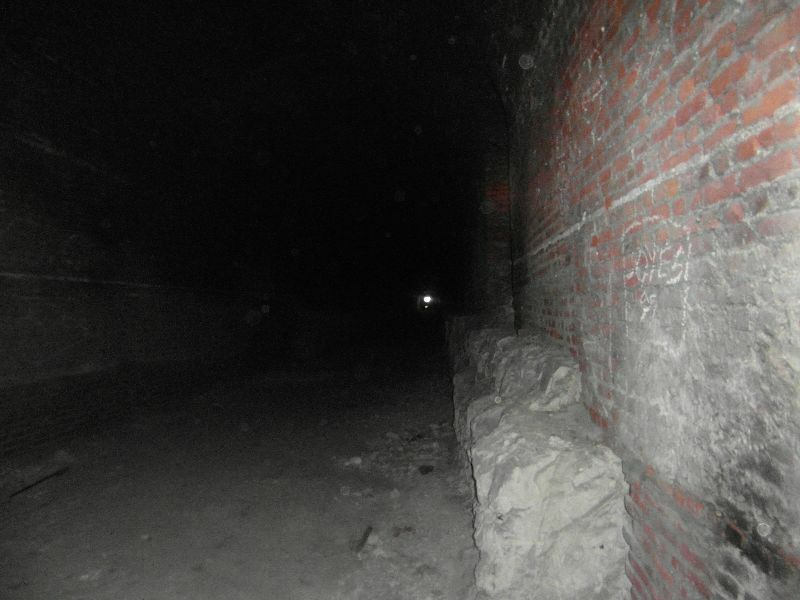 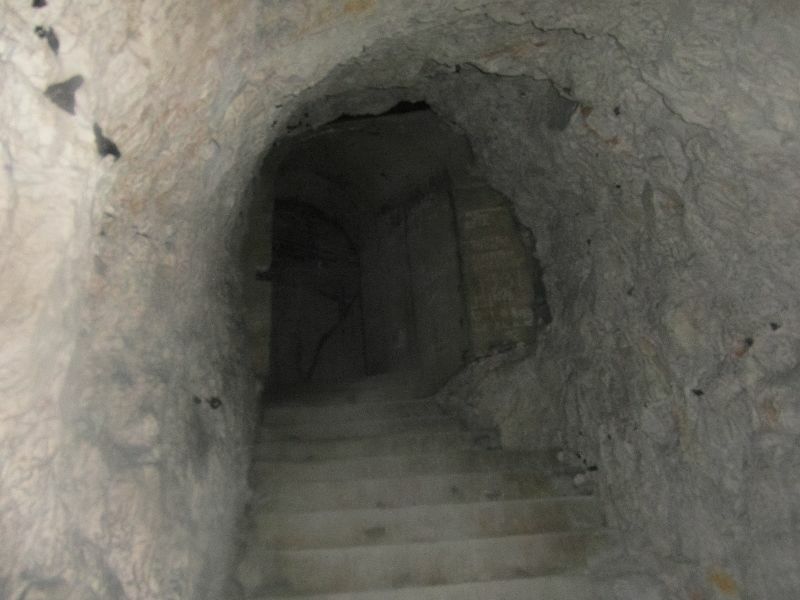 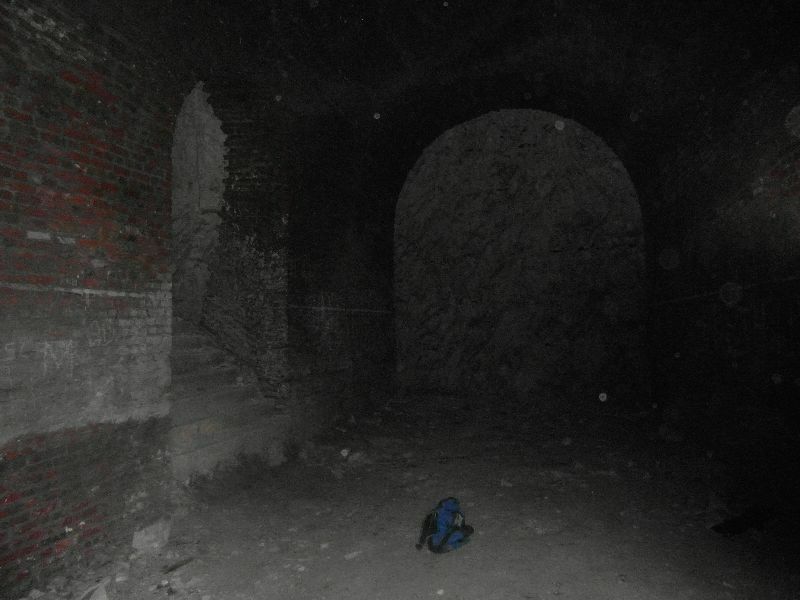 These tunnels, located a few miles south of Sangatte, housed one of the huge WW2 K5 railway guns. The main brick-lined train tunnel is cut into a large chalk quarry in the hillside, with unlined spurs heading off at intervals, which were probably used as storage areas. 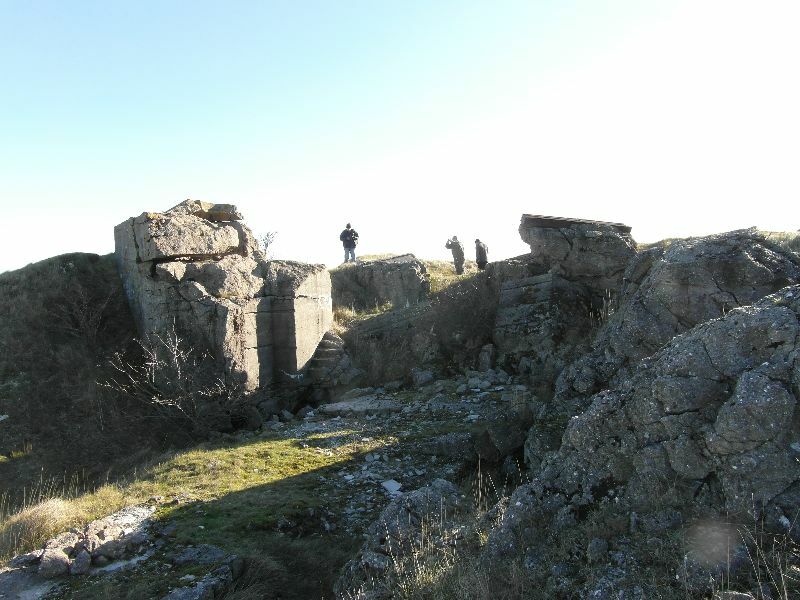 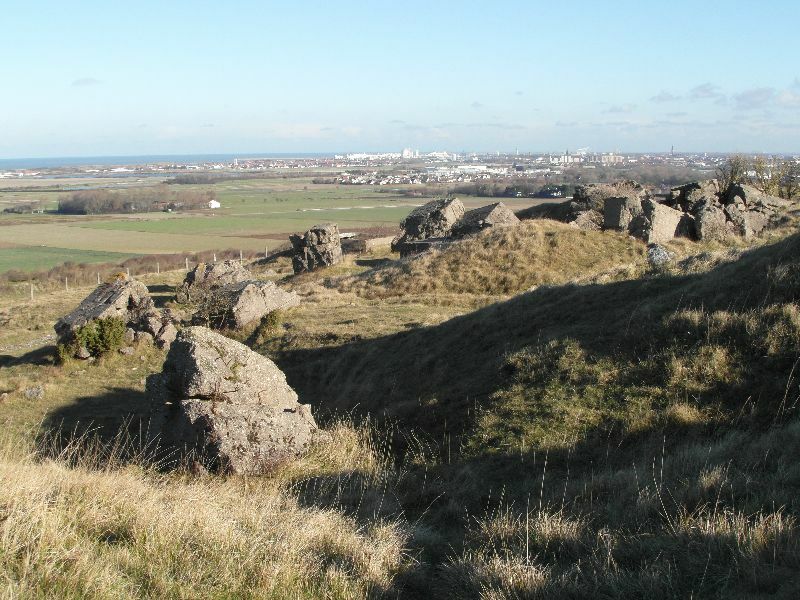 On the top of the hill above are the remains of a few concrete bunkers, one of which gave access to the train tunnel via five sets of stairs. 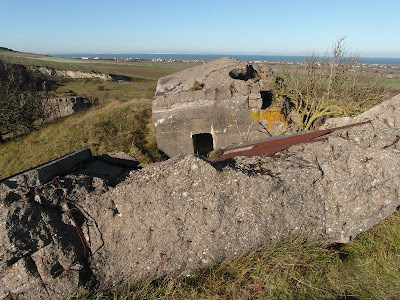 The obliteration of the surface bunkers and surrounding area shows that the allies were well aware of the railway gun's location and were trying to put it out of action.